Floods are always assumed to bring destruction with them. But the Kaziranga National Park in Assam proves this notion wrong and shows that floods can bring more benefits than destruction. Read on and be surprised – it is going to change the way you think of floods forever! These are surely the thoughts that cross our minds when we think about floods. But can we summarily dismiss floods as unimportant? The answer is, “we cannot”, or at least, “not always”. And we don’t have to go far to see why. 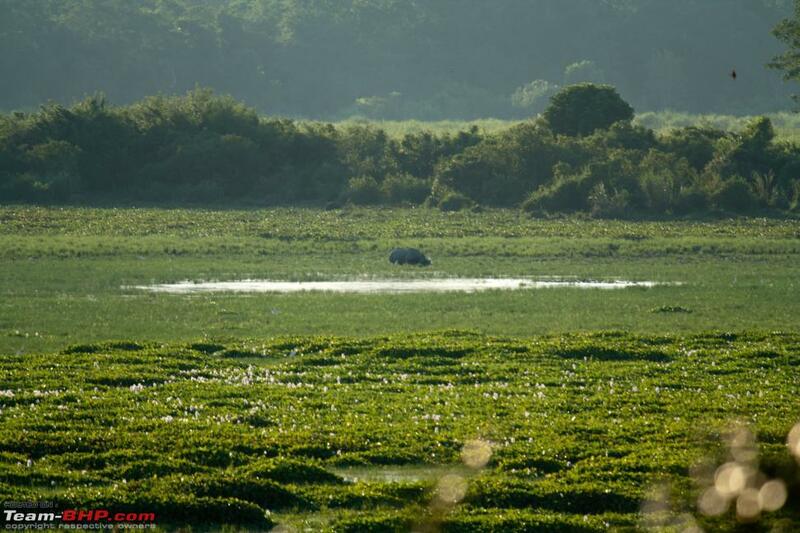 Let us take the unique case of Kaziranga National Park in Assam, one of the leading national parks in the country. The park has a long history of floods and there are often incidents of animal deaths which cause serious concern among animal lovers. But what is surprising is that despite these never-ending floods, the park has not only managed to survive but thrive! While prima facie it may seem like these floods which cause death of animals and destruction of habitats is bad for the park, yet if seen in the larger context, they are the lifeblood of the park. There is no denying the fact that floods tend to leave behind a trail of destruction and deaths. According to the line transect data of April 2012, the animal casualty caused by floods stood at around 1% of the total population. The Hog Deer, whose population is estimated at 40-50 thousand, saw the highest casualty among the wild animals with a count of 512. Then there is loss of habitats which may cause these animals to venture out of their reserved areas into human establishments making them vulnerable to poachers and human-animal conflicts. 512 deaths may seem a lot for some, but even by conservative estimates, more Hog Deer are killed every week by tigers. So the impact of floods on the wildlife species of Kaziranga National Park is in a way amplified. Another important point to note is that many of the victims of floods are infants, old and diseased, who are anyway fighting a losing battle in the war of ‘survival of the fittest’. Also, not all floods have a penchant for blood, as in certain years there are no casualties; it all depends on the strength and the direction of the flood. Even if the flood is strong, there are many areas inside the park located at higher elevations where the animals can find shelter. Apart from causing a few heartbreaks, the major role of floods lie in naturally maintaining the grasslands and wetlands of the park, upon which the entire ecosystem of the park stands. The flood water provides the necessary energy and constitutes a natural drainage system thereby paving the way for new vegetation to grow in place of the damaged and uprooted ones. The flood water also makes the soil more fertile so that it can support better and more diverse flora, which in turn helps the wild animals to increase their numbers and diversify. Concerted efforts by NGOs, ably supported by park authorities, have ensured that people today are more aware about the difficulties faced by the animals during the rainy season. It is a common sight today to find people, especially those living in the vicinity of the park, participating in relief works. This is a welcome change from the days gone by when straying animals were promptly killed for different purposes like for their meat and skin. The rise in anthropogenic activities is putting tremendous pressure on the corridors that are used by the animals of the park to move out in case there is a disaster. Most of these spaces, which are rightfully theirs, are being increasingly encroached upon by opportunists and business establishments leaving negligible elbow room for the animals. One of the biggest culprits is a tea garden at Kanchanjuri that has blocked the corridor using barbed wires. Unless these corridors are made accessible to the animals, their suffering will not lessen. At first glance it may seem like floods are a bane, when in fact they are a boon to the park. Yes, there are casualties, but they are insignificant in the final scheme of things. With greater awareness and participation of the public in relief and rehabilitation of animals, the fear of floods and damage caused by them can be minimized. But what we cannot ignore is that there are far bigger threats to the animals of the park than floods – like inaccessible corridors. Let us work together to remove these and give the animals the safe environment they deserve. About the author: Anshul is a wildlife enthusiast, who loves to wander around different wildlife destinations of India. At the same time, he has got a command over writing and thus, he pens down and shares his experience with the world.